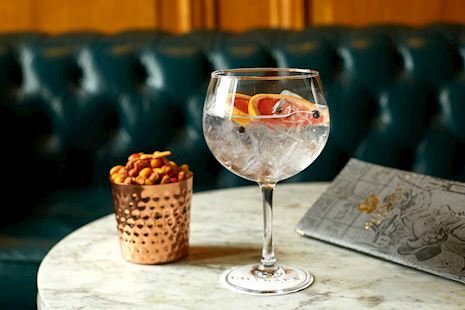 Gillray's Steakhouse & Bar is located inside County Hall and can be accessed through the London Marriott Hotel County Hall or via Queen's Walk, taking the stairs above Sea Life. When arriving by Train or Tube, Westminster or Waterloo Station are the closest to Gillray's Steakhouse & Bar. From Westminster Underground: Take the exit towards "London Eye" and cross Westminster Bridge. After the white lion statue on your left, turn left under the archades to enter London Marriott Hotel County Hall. From Waterloo Railway Station: Take the exit towards "London Eye". Turn right when you see the London Eye and walk left along Queen's Walk passing Sea Life. Take the stairs on your left where you see the Gillray's Poster and enter directly into Gillray's Bar.